It’s Swatch Sunday!! Yes, it’s another Indie Shop Atlanta exclusive. I’m sorry. 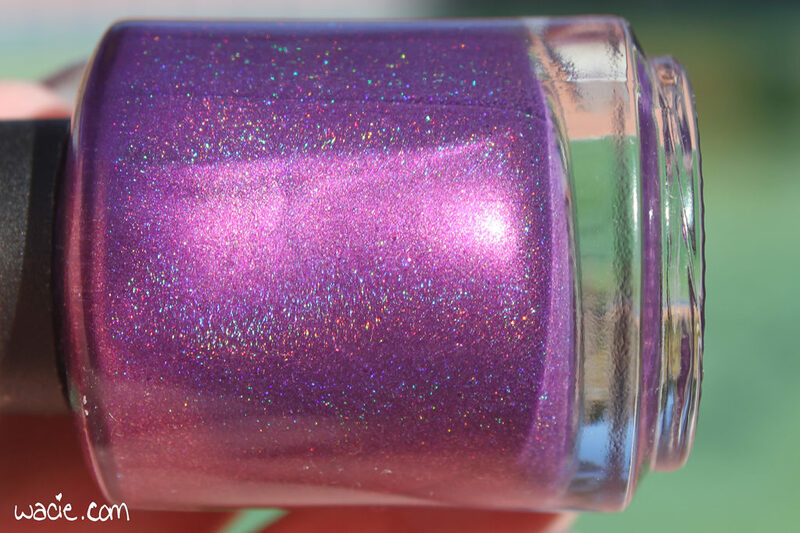 I feel so bad teasing polishes you can’t buy without hunting it down. I’m pretty excited about trying out a new-to-me brand, though! This is The Dryad from Chaotic Glitz. I’m wearing three coats with one coat of Seche Vite. I’ll admit it, I have no idea what color The Dryad is. 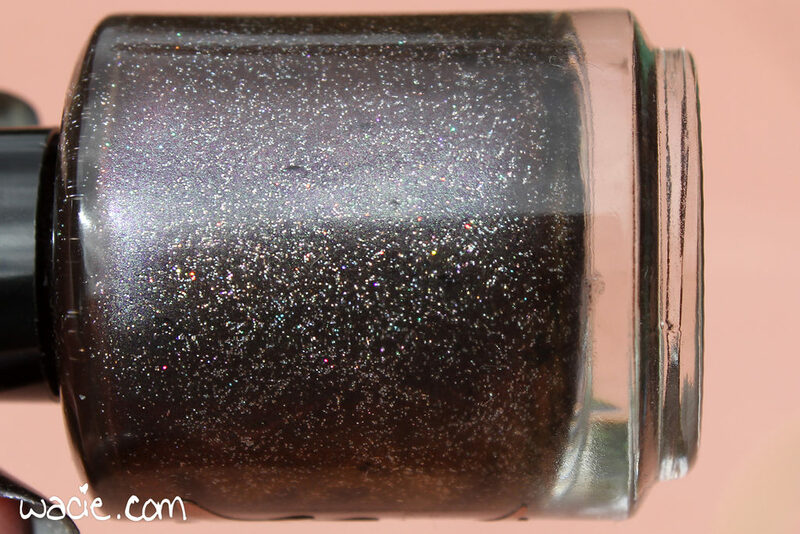 In the bottle, it looks like a blackened shimmery plum with holo glitter, but on the nail, it’s more of a gunmetal, or just a shimmery black. In any case, I am so into it. 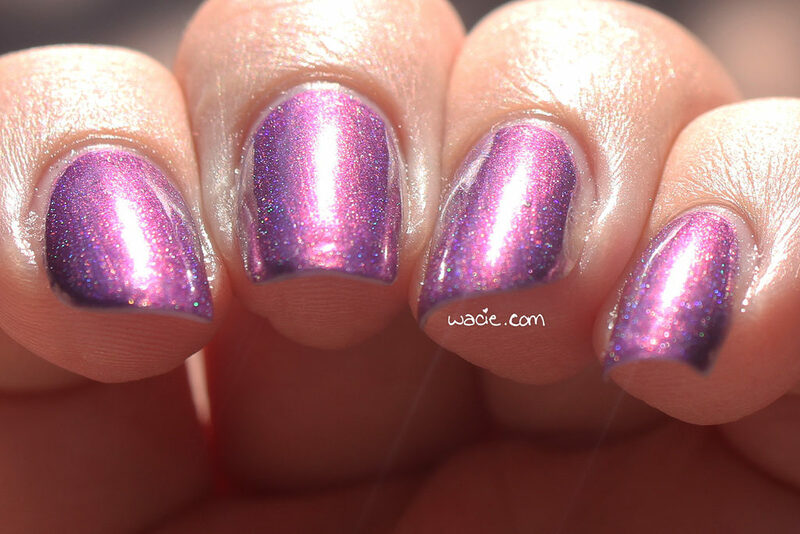 The product consistency was lovely; it was super easy to work with and I had complete opacity in two coats. It dries with a satin finish. The brush is also one that delivers a lot of polish on the nail, I’ll let you decide if that’s a plus or not. There’s a brush-stroke there that didn’t quite level itself out. The Dryad is a pretty great polish, and I’m happy it’s one of my first CGs. It’s a dark and sultry polish. It has an edge. Unfortunately, it was shady outside when I took these photos, and the glitter isn’t as shiny as it should be, but it’s definitely got some sparkle, too. It’s beautiful. 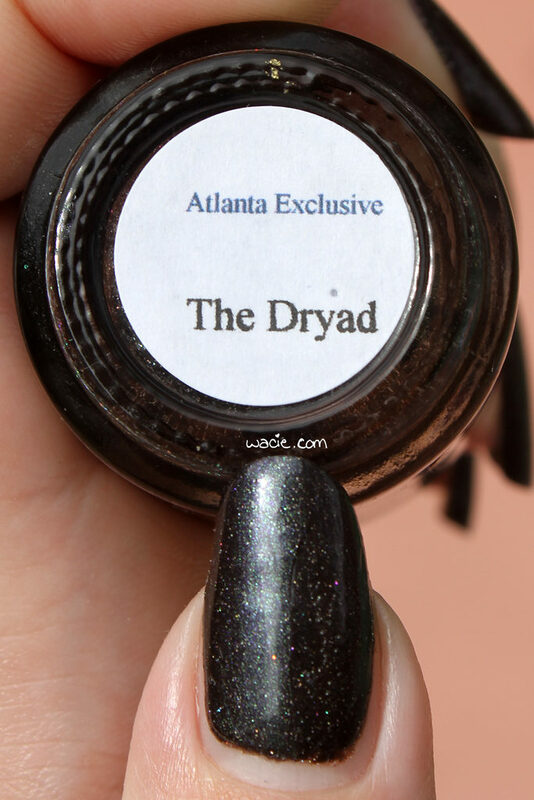 The Dryad was an Indie Polish Atlanta exclusive. Other Chaotic Glitz products are available from their etsy shop.